Much has been said — but far less is understood — about the One Belt One Road initiative, the centerpiece of Xi Jinping’s expansive foreign policy. That Mr. Xi has ambitions to extend across Eurasia China’s commercial, political and military power is not in doubt. But, the precise details on OBOR remain just about as unclear now as they did four years ago when the policy was unveiled — which countries are included, how much cash China will invest or lend, where are the first-order priority projects, will any of the trillions of dollars of proposed spending achieve commercial rates of return? Questions multiply. Answers are few. There is one remote corner of the planet, however, where the full weight of OBOR’s grand strategy and profit-making potential are coming into view. It’s in a small village called Hambantota along the southern fringe of Indian Ocean beachfront in Sri Lanka. One of China’s largest and most powerful state-owned companies, China Merchants Group, with total assets of $855 billion, is in the final stages of completing the purchase for $1.1 billion of a 99-year lease for a majority stake in a seven-year-old loss-making deep-water container port. It was built for over $1 billion on a turnkey basis by Chinese state-owned contractors. It is owned and operated by the Sri Lankan government’s Port Authority. I’m just back in China from a rare guided visit inside Hambantota port. Like other bankers and investors, we’ve felt the pinch as much of Chinese outbound investment has been cancelled or throttled back this year. Hambantota, though, is full steam ahead. Hambantota’s future appears now about as bright as its present is dreary. On the day I visited, there was virtually no activity in the port, save the rhythmic wobbling of a Chinese cargo ship stuck in Hambantota for three weeks. Due to choppy seas and also perhaps inexperienced Sri Lankan port staff, the Chinese ship has been sitting at anchor, unable to unload the huge Chinese-made heavy-duty cranes meant to operate on the quayside. Though the Chinese ambassador to Sri Lanka has pledged that Hambantota will one day resemble Shanghai, as of today, elephants in the nearby jungle are about as numerous as dockworkers or pedestrians. Tragically, the region was ravaged, and partly depopulated, by the Tsunami of 2004. China Merchants will take over management of the port within the next month or so. There is much to do — as well as undo. The Hambantota port, under Sri Lankan government management, has been a bust, a half-finished commercial Xanadu where few ships now call. The port has lost over $300 million since it opened. China Merchants’ plan to turn things around will rest on two prongs. Its port operations subsidiary, Hong Kong-listed China Merchants Port Holdings, will take over management of Hambantota. It is the largest port owner and operator in China. Almost 30% of all containers shipped into and out of China are handled in China Merchants’ ports. The ports business earned a profit of $850 million last year. China Merchants has what the Sri Lankan government’s Hambantota port operator could never muster: the operational skill, clout, capital and commercial relationships with shippers inside China and out to attract significant traffic to Hambantota. China’s state-owned shipping lines deliver more containers than those from any other country. In addition, China Merchants will enlist other large China SOEs to invest and set up shop in an 11 square-kilometer special economic zone abutting the Hambantota port. The SEZ was created at the request of the Chinese government, with the promise of $5 billion of Chinese investment and 100,000 new jobs to follow. China Merchants is now drawing up the master plan. A who’s who of Chinese SOE national champions are planning to move in, beginning with a huge oil bunkering and refining facility to be operated by Sinopec as well as a large cement factory, and later, Chinese manufacturing and logistics companies. This “Team China” approach – having a group of Chinese SOEs invest and operate alongside one another — is a component of other OBOR projects. But, the scale of what’s planned in Hambantota is shaping up to be far larger. The flag of Chinese state capitalism is being firmly planted on this Sri Lankan beachfront. Hambantota is only ten to twelve nautical miles from the main Indian Ocean sea lane linking the Suez Canal and the Malacca Straits. Most of China’s exports and imports sail right past. An average of ten large container ships and oil tankers pass by every hour of every day. From the Hambantota port office building, one can see the parade of huge ships dotted across the horizon. Along with transshipping to India and the subcontinent, Hambantota will provide maintenance, oil storage and refueling for shipping companies. Sri Lanka is the smallest of the four Subcontinental countries, with a population of 20 million compared to a total of 1.7 billion in India, Pakistan and Bangladesh. It has one geographic attribute its neighbors lack — a deep-water coastline close to Indian Ocean shipping lanes and conducive to building large deep-water ports able to handle the world’s largest container ships and supertankers. This should make Sri Lanka the ideal transshipment point for goods and natural resources going into and out of the Subcontinent. The Port of Singapore is now the region’s main transshipment center. It is three to four times as distant from India’s major ports as Hambantota. Singapore is now the world’s second-busiest port in terms of total shipping tonnage. It transships about a fifth of the world’s shipping containers, as well as half of the world’s annual supply of crude oil. Even before President Xi first articulated the OBOR policy, Sri Lanka was already seen as a key strategic and commercial beachhead for China’s future trade growth in the 40 countries bordering the Indian Ocean. China and Sri Lanka have had close and friendly diplomatic ties since the early 1950s. Both style themselves democratic socialist republics. Sri Lanka is the one country in the region that enjoys cordial relations not only with China but also the US, and the three other Subcontinental nations. Sri Lanka’s GPD is $80 billion, less than one-tenth the total assets of China Merchants Group. Sri Lankan per capita GDP and literacy rate are both about double its Subcontinental neighbors. While a hardly a business nirvana, it is often easier to get things done there than elsewhere in region. The first port was established in Hambantota around 250 AD. It was for centuries, until Chinese emperors sought to prohibit Chinese junks from sailing the open seas, a stopping point for Chinese ships trading with Arabia. China Merchants has been trying for four years to close the deal there. China Merchants Port Holdings is a powerful presence in Sri Lanka. It already built and operates under a 35-year BOT contract a smaller, highly successful container port in the capital Colombo. It opened in 2013. It’s one of the few large-scale foreign direct investment success stories in Sri Lanka. The future plan is for the China Merchants’ Colombo port to mainly handle cargo for Sri Lanka’s domestic market, while Hambantota will become the main Chinese-operated transshipment hub in the Indian Ocean. Chinese SOEs are also in the throes of building a port along the Pakistani coast at Gwadar and upgrading the main ports in Kenya. The direction of Beijing’s long-term planning grows clearer with each move. If not exactly a Chinese inner lake, the Indian Ocean will become an area where Chinese shipping and commercial interests will more predominate. During the Hambantota negotiations, the Sri Lankan government blew hot and cold. The country needs foreign investment and Chinese are lining up to provide it, as well as additional infrastructure grants and loans. Chinese building crews swarm across a dozen high-rise building sites in Colombo. Chinese tourist arrivals are set to overtake India’s. The main section of the unfinished highway linking Colombo and Hambantota was just completed by the Chinese. The new coalition government that came to power in Sri Lanka in early 2015 has sometimes showed qualms about the scale and pace of Chinese investment. India has already signaled unease with the Chinese plans to take over and enlarge the port in Hambantota. Prior to signing the contract with China Merchants, the Sri Lanka government provided India with assurances the Chinese will be forbidden to use the port for military purposes. China Merchants will effectively pay off the construction loans granted by the state-owned Export-Import Bank of China to the Sri Lankan government in return for the 99-year operating lease. China Merchants plans to invest at least another $1 billion, but perhaps as much as $3 billion, to complete Hambantota port and turn it into the key Indian Ocean deep-water port for ships plying the route between Suez and East Asia. Rarely if ever in my experience do OBOR projects have the crisp commercial logic of Hambantota. Assuming ships do start to call there, Hambantota should prove quite profitable, as well as a major source of employment and tax revenue for Sri Lanka. As of now, there is almost no housing and no infrastructure in Hambantota, only the port facility, a largely-empty international airport and a newly-opened Shangri-La hotel and golf course. The airport and port were pet projects of a local Hambantota boy made good, Mahinda Rajapaksa. He was Sri Lanka’s president from 2005 to 2015, when he was voted out of office. In December last year, the port was taken over by a mob of workers loyal to the Rajapaksa. They took several ships hostage before the Sri Lankan navy sailed in to end the chaos. The port will be able to handle dry cargo, Ro-ro ships transporting trucks and autos, oil tankers as well as the world’s largest 400-meter container ships. Hambantota should lower prices and improve supply chains across the entire region, and so drive enormous growth in trade volumes — assuming power politics don’t intrude. China and India have prickly relations, most recently feuding over Chinese road-building in the disputed region of Doklam. India has balked at direct participation in OBOR, and complains loudly about its mammoth trade deficit with China, now running about $5 billion a month. Chinese exports to India have quadrupled over the past decade, in spite of India’s extensive tariffs and protectionist measures. Hambantota should allow India’s manufacturing sector to be more closely intertwined with Chinese component manufacturers and supply chains. That is consistent with India’s goal to increase the share of gdp coming from manufacturing, and manufactured exports, both still far smaller than China’s. But, India will almost certainly push back, hard, if Hambantota leads to a big jump in its trade deficit with China. China’s exports may be able to come in via the Sri Lankan backdoor. India and Sri Lanka have a free trade agreement that in theory lets Sri Lankan goods enter the vast market duty-free. Chinese manufacturers could turn the Hambantota free trade zone into a giant Maquiladora and export finished products to India. This would flood India with lower-priced consumer goods, autos, chemicals, clothing. Bangladesh, Pakistan and Burma — smaller economies but friendlier with China — would likewise absorb large increases in exported Chinese goods, either transshipped from Hambantota or assembled there. No area within OBOR is of greater long-term significance to Chinese commerce. Fifty years from now, if UN estimates prove correct, the population of India, Pakistan and Bangladesh will be about 2.3 billion, or about double where China’s population will be by then. Some China Merchants executives are dreaming aloud the Thai and Chinese governments will close a deal to build a canal across Southern Thailand. This would shave 1,200 miles off the sea route from Suez to China. The preferred canal route across the isthmus of Southern Thailand is actually shorter than the length of the Panama Canal. The canal would re-route business away from Singapore and the Malacca Straits. The likely cost, at around $25 billion, could be borne by China without difficulty. Hambantota would grow still larger in importance, commercially and strategically. For now, though, the Thai canal is not under active bilateral discussion. Not only does the ruling Thai junta worry about its landmass being cleaved in two, the governments of the US, Japan, Singapore would likely have serious reservations about altering Asian geography to enhance China’s sea power and naval maneuverability. By itself, a Chinese-owned and operated Hambantota will almost certainly reconfigure large trade flows across much of Asia, Africa and Europe, benefitting China primarily, but others in the region as well. It is a disruptive occurrence. While much of China’s OBOR policy remains nebulous and progress uncertain, Chinese control of Hambantota seems more than likely to become a world-altering fact. Interviewed this morning on CNBC’s Squawk Box about Wanda and its new “asset light strategy”. A Dalian Wanda property in Nanchang, China. BEIJING — The Chinese property developer Sunac China Holdings has turned into one of the country’s biggest white knights, swooping in to help troubled companies with too much debt. The risk: Sunac is amassing its own large pile of debt in the process. Sunac has more than doubled its debt load in a year to $38 billion. 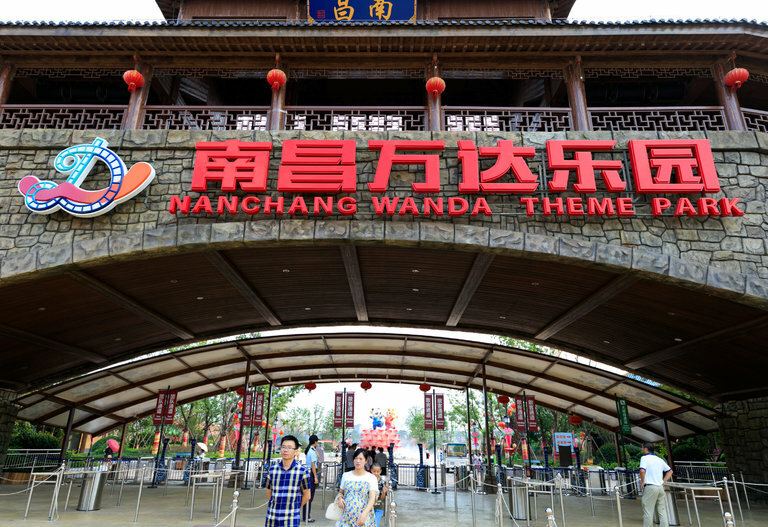 Its deal this week to buy a portfolio of theme parks and hotels from the Dalian Wanda Group, the heavily indebted Chinese conglomerate, will add to the tab. At $9.3 billion, the acquisition is larger than the market value of Sunac. Sunac is offering a much-needed lifeline. For years, China fueled growth by providing easy credit. Chinese companies borrowed heavily, using the money to fund aggressive expansions. As the economy now slows, companies are increasingly running into financial trouble, with some having to borrow even more to pay their debts. Policy makers are worried that the country’s Passover level of corporate debt could threaten the broader financial system. Sunac, China’s seventh-largest property developer in terms of sales, has been able to tap into its financial strength to help companies under pressure. Since 2012, Sunac’s property sales have grown at double-digit rates nearly every year, giving it the firepower to scoop up assets and land plots. Before the Wanda deal, Sunac in January pumped $2.2 billion into LeEco, a tech firm struggling to pay off its creditors. This May, it paid $1.5 billion for an 80 percent stake in Tianjin Xingyao, a property firm known for leaving its projects uncompleted. In 2015, Sunac made a play to rescue Kaisa, pledging $1.2 billion to take over the troubled property company; it later pulled out after Kaisa did not meet certain conditions for the deal. That same year, it announced a partnership with the cash-poor Yurun Holding Group, which ran a business empire ranging from sausage making to property and finance. It is a remarkable turnabout for the company’s founder, Sun Hongbin. Mr. Sun started his career at the Lenovo Group, where he was promoted to run enterprise development. 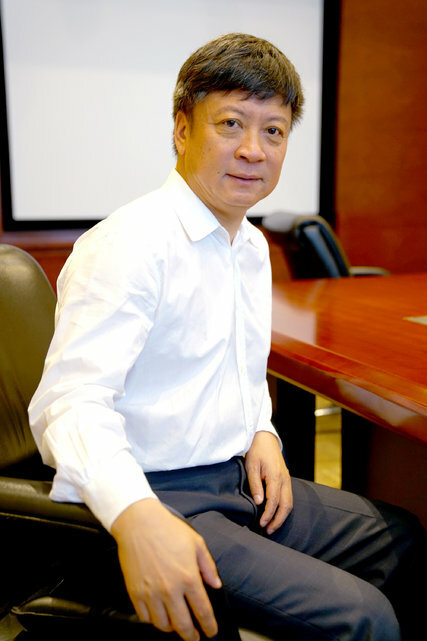 But he had a falling out with Liu Chuanzhi, the founder of Lenovo, over a business dispute. Related to the dispute, Mr. Sun was sentenced in 1992 to five years in jail for misappropriation of public funds. After his release in 1994, he met with the founder of Lenovo and apologized, according to the website of The People’s Daily, the ruling Communist Party’s official newspaper. The Lenovo founder eventually lent Mr. Sun about $74,000, which he used to start a predecessor real estate firm to Sunac. Lenovo did not immediately respond to a request for comment. When Mr. Sun started Sunac in 2003, he focused on the cities of Wuxi and Chongqing and then moved on to China’s most developed cities, among them Beijing, Shanghai, Tianjin and Hangzhou, building apartments with names like Beijing Fontainebleau Chateau. Sunac built its residential projects in good locations near city centers and was aggressive in acquiring land plots — with higher debt. Sun Hongbin, the founder and chairman of Sunac China Holdings. With the Wanda deal, Sunac is extending its reach into tourism, paying $9.3 billion for 76 hotels and a major chunk of its 13 tourism projects, in the country’s largest property acquisition ever. The purchase will help Sunac diversify its business, which is hurting from government restrictions on home sales as Beijing seeks to cool a frothy property market. It also strengthens the company’s hand in an industry dominated by bigwigs like the China Vanke Group and Country Garden. Investors have rewarded Sunac for the deal. Shares of Sunac rose 14 percent in Hong Kong on Tuesday after they resumed trading after the deal announcement. Wanda is helping finance the acquisition. Sunac, in a statement to the Hong Kong Stock Exchange on Monday, said Wanda would procure a loan for the company worth about $4.4 billion. Seller financing is not uncommon, both in China and the West. But Wanda’s role means that Sunac doesn’t have all the money upfront. The LeEco deal is also prompting concern. Sunac invested $2.2 billion in LeEco, buying minority stakes in three of the conglomerate’s more stable businesses, including the smart TV affiliate Leshi Zhixin, Le Vision Pictures, and Leshi Internet. The two companies don’t have many overlapping interests, and LeEco’s finances have continued to sour. Before the Wanda deal, shares of Sunac were falling on fears that LeEco’s problems would spread. In a January news conference, Mr. Sun said many people had tried to dissuade him from investing in LeEco, adding that several were “resolutely opposed” to it. “I seriously considered their views, but I don’t think their opinions are sufficient to change my mind,” he said. Alzheimer’s is the fastest-growing, major fatal disease in China. Today there are at least 9.5mn diagnosed sufferers in China with perhaps as many cases undiagnosed. Almost one million Chinese are diagnosed every year with Alzheimer’s, with the number of new cases each year expected to accelerate sharply beginning around 2030. It is also the major disease in China with the greatest mismatch between the number of patients and the amount of specialized care available. The US has about half the number of Alzheimer’s patients as China, and 73,000 beds in specialist Alzheimer’s treatment centers. China today has fewer than 200 beds. Alz care is a thriving $250bn industry in the US. In China, it’s barely even begun. The reason for this mismatch is clear. China’s healthcare system is already under strain to reform and improve the quality of care overall, especially for acute and infectious diseases like cancer, hepatitis and serious asthma. Alzheimer’s is not now a top priority either for government policy or for healthcare companies and investors. But, over the coming decades, no disease will likely impact more lives in China or likely cost China more to treat. By 2050, it is projected the number of Alzheimer’s patients in China will exceed 45 million, about half of all those worldwide with the disease. The total cost of treating all those people is impossible to estimate. Alzheimer’s is already the most expensive disease to treat in the US. The US government pays for more than half, through national health insurance paid through taxes on companies and individuals. With the number of Alzheimer’s cases in the US expected to double in the next 20 years, US government spending on Alzheimer’s care is on course to become the single-most expensive part of the US budget, larger even than military spending. China will almost certainly take a different path than the US, with more spending done by patients and their families, rather than through national health insurance. On average, Chinese Alzheimer’s patients will also be cared for longer by relatives, rather than placed in specialized nursing homes. But, the almost total lack of Alzheimer’s treatment centers, and trained nurses and doctors, is one of the most significant market failures in China’s healthcare industry. While the government, SOEs and private sector have been making significant investments in old age care (what the Chinese refer to as “yanglao”), most of this money has gone towards building and selling apartments in retirement communities, places for older people who are fundamentally still healthy and active. There has been little investment in the area of elderly care with most urgent need now and in the future– providing specialist centers for people with Alzheimer’s and other chronic diseases that afflict old people like Parkinson’s, serious arthritis, recovery from stroke. In China, Alzheimer’s is still often seen not as a disease but as inevitable and natural outcome of aging, a sad side-effect of the fortunate fact of being long-lived. China’s national broadcaster, CCTV has lately been broadcasting public service ads to raise awareness that Alzheimer’s is a disease. This is the same education process the US and Europe began over 40 years ago. There were few cases anywhere in the world then. Europe and the US, the private and public sector, began spending heavily to train doctors and nurses, build out its care infrastructure to meet the projected surge in patients. Alzheimer’s, like diabetes, obesity, colorectal cancer, is a disease of economic success. As a country becomes richer and healthcare standards improve, people live longer. Nowhere has this transformation happened more quickly than in China, meaning nowhere else has ever seen as explosive growth in the number of Alzheimer’s cases. The average life expectancy in China has increased more in the last 30 years than it did in the previous 3,000. China’s life expectancy is still growing faster than in developed countries. Chinese in Hong Kong recently passed Japan to become the world’s longest-living population. The facts: Alzheimer’s is an incurable disease that afflicts a large number of older people, but not the majority. 3 percent of people age 65-74, 17% of people between 75 and 85 will develop the disease. For those over 85%, there is a 30% chance of having it. It is a mystery why some old people get the disease and most others do not. One interesting correlation: people with higher education levels are less likely to get the disease. The more you use your brain in complex ways, the more you may inoculate yourself against Alzheimer’s. Rural people are more susceptible than city-dwellers. Because China still has a larger percentage of its population living in rural areas，this suggests that the percentage of the +80 year-old population with Alzheimer’s in China may end up higher than in US, Europe or other Asian more urbanized societies including Japan, Korea, Taiwan, Singapore. Despite billions of dollars in scientific and pharmaceutical research in the West, there are no drug or surgical treatments for Alzheimer’s. A drug cure for AD, widely predicted in the West 20 years ago, now seems very unlikely. Brain chemistry and biology make developing a drug for Alzheimer’s difficult. Since 2002, 244 drugs for Alzheimer’s were tested in clinical trials in the US and Europe. Only one received US FDA approval. It has very limited and short-term impact. Although there are no drugs to cure Alzheimer’s, there have been remarkable successes in Europe and the US, especially in the last ten years, at Alzheimer’s care facilities managed by specially-trained nurses and doctors. They work together to slow the progress of Alzheimer’s patients, through physical therapy, psychological counseling, special equipment to improve memory and mobility, lots of one-on-one assistance, and a safe living environment designed for care of people gradually losing their ability to think, speak and function. The result: Alzheimer’s patients in the US and Europe now live twice as long after diagnosis as they did 30 years ago, an average of 8-10 years after diagnosis. The longer Alzheimer’s patients live, the more likely it is they will spend the final years in specialized care facilities. In this final stage, Alzheimer’s patients are often unable to talk, feed or bathe themselves, can remember almost nothing. The body’s immune system gradually stops working. As the brain is overcome by the disease and begins to decompose, even automatic body functions like breathing, digestion and swallowing are disrupted. A French listed company, Orpea, is moving fastest to build a big business in AD care in China. Last year they opened China’s most advanced Alzheimer’s clinic in in Nanjing. Orpea are among the world leaders in Alzheimer’s care. It is their first nursing home in China and they are planning now to expand quickly across the country. They have 775 nursing homes and clinics in Europe. Last year’s total revenues were €2.8 billion. Most of those living in the Nanjing facility are paying about Rmb20,000 a month. Though expensive, that’s still half the price per year of a shared room in a 3-star nursing home in the US. The level of care is as high as any specialized Alzheimer’s care center in the US or Europe. In almost all cases, the children of the patients are paying. Regardless of culture, Alzheimer’s tends to effect people the same way. Nothing can restore patients’ memory, or stop the progress of a disease that is, in all cases, 100% fatal. The goal of treatment is to slow the disease progression by treating early related health problems and the decline in motor skills. Most important is keeping patients physically and intellectually active. Orpea is using a new form of treatment known as “psychomotricity”, which rebuilds connections between a patient’s motor and cognitive skills. Successful treatment not only lengthens the lives of people with Alzheimer’s, it makes these patients more content, more social, more self-sufficient than if they were being treated by relatives at home. Orpea is also quickly learning new things about Alzheimer’s and how to care for patients in China. Among late-stage Alzheimer’s patients, those who have lost the ability to speak, to recognize people or their surroundings, one of the last skills they hold onto and enjoy is the ability to stuff meat dumplings. There’s a special kitchen and dining room just for Alzheimer’s patients. The Nanjing center has both a KTV and a “memory room” with objects from the 1950s-60s. As Alzheimer’s progresses, patients can’t recall recent events, but often recover older memories for their youth, including old songs. Orpea plans to open at least two new nursing homes in Beijing this year and add other facilities soon in Shanghai. For now, they still have China’s Alzheimer’s care market, especially at the high-end, largely to themselves. But, they welcome competitors. “The need is so great, and the impact on patients’ lives so positive that we hope China will quickly develop a large, capable group of companies to care for people here,” explains Orpea’s China CEO, Nathaniel Farouz. One likely path will be for Chinese companies to acquire or partner with specialist nursing home companies in the US and Europe. There were rumors recently that one large Chinese investment group, CMIG, was seeking to buy Orpea. Orpea, though, denies any deal is being actively discussed. If there’s one advantage to getting a late start, it’s that China can learn from the mistakes and adopt the best ideas developed in the US, Europe and Asia. Japan, for example, is not only building specialist nursing homes for Alzheimer’s patients in the final years of their lives, but also community centers for those still living at home or with relatives. Family members can drop off parents with Alzheimer’s to give caregivers a few hours to rest or run errands – or even for a few nights so they can take a quick vacation. The main beneficiaries of professional Alzheimer’s care are the patients, whose lives and health are improved. But, there are also economic benefits for the society as a whole. Alzheimer’s care potentially can offer millions of new, long-term and well-paying jobs in China, for people at all educational levels. In rural China, the government’s role will be even more important. The number of Alzheimer’s cases among China’s rural population likely will be proportionately higher and financial resources of families and local governments more limited. It’s hard to think of a business opportunity in China with better long-term investment fundamentals than specialized Alzheimer’s care. But, the industry should not be measured or motivated by profits. Its success and greatest return on investment will be in limiting the suffering, pain, helplessness and sadness of Alzheimer’s patients and their families. (Bloomberg) — Veteran China dealmakers at Wall Street banks and Western buyout firms are heading for the exits, in search of the more lucrative deals and higher remuneration offered by smaller funds. Three senior merger advisory bankers from Goldman Sachs Group Inc., Bank of America Corp. and Lazard Ltd. have resigned within the past month for senior roles at fledgling investment funds, according to people familiar with their departures, who asked not to be identified discussing private information. Carlyle Group LP Managing Director Alex Ying left the firm in January after two decades to set up Rivendell Partners, which focuses on mid-sized buyouts in Greater China and Vietnam, other people said. The moves highlight the increasing challenges big banks face in retaining their top dealmakers in an environment of tighter regulations and shrinking fees. Revenue from investment banking in the Asia Pacific region fell 8 percent in 2016 to the lowest in at least five years, according to data from research firm Coalition. Merger advisory revenue dropped 4 percent, the figures show. Imminent departures include Andrew Huang, a managing director advising on Greater China mergers and acquisitions at Goldman Sachs who has resigned to join Chinese private equity firm FountainVest Partners, according to the people. Peter Kuo, a China M&A banker at Lazard, is leaving to help run a technology fund backed by Chinese investors called Canyon Bridge Capital Partners, the investment firm confirmed in response to Bloomberg queries. Ellis Chu, head of China M&A at Bank of America, has also resigned and will be joining an Asia-focused fund, the people said. Spokesmen for Bank of America, Goldman Sachs and Rivendell declined to comment on the departures. A representative for Carlyle confirmed Ying’s departure, declining to comment further. FountainVest Chief Executive Officer Frank Tang didn’t answer calls to his mobile phone seeking comment. Running or working for a smaller, Asia-based fund can offer managers greater independence in decision-making on deals and give them a bigger share of fees and profits from exiting investments. Senior executives at global buyout funds in Asia typically have to share 40 percent to 60 percent of deal fees generated in the region with U.S. and European counterparts, people familiar with the practice said. Smaller funds are also making more money. Private funds in Asia with assets of $500 million or less had a median internal rate of return of 16.1 percent over a three-year timeframe, compared with 11.5 percent at peers with more than $1 billion of assets, according to data compiled by research firm Preqin Ltd. The exits follow other recent moves to smaller outfits. KKR & Co.’s two most senior China executives left in December to form a China-focused investment firm. Richard Wong, an M&A veteran at Morgan Stanley, resigned this month after 16 years to help set up Nexus Point Partners, a China-focused buyout fund started by MBK Partners Ltd. co-founder Kuo-Chuan Kung. The bankers and their new funds will face challenges when it comes to sourcing China deals. The government is clamping down on money outflows, which augurs poorly for outbound acquisitions. What’s more, competition is increasing from Chinese securities firms. 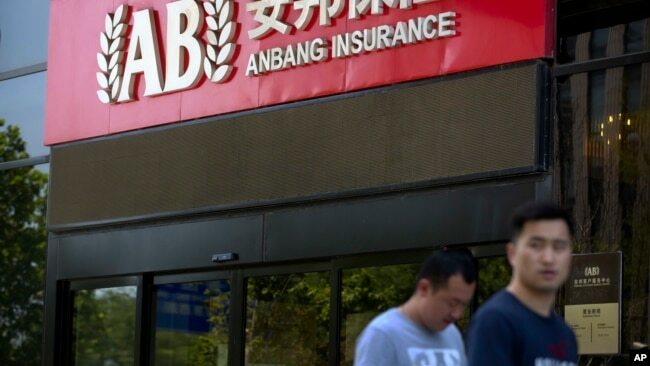 Three Chinese banks ranked in the top 10 advisers on offshore acquisitions by mainland companies since the beginning of 2016, according to data compiled by Bloomberg. Among the first buyout specialists to make the leap from big outfits were KY Tang, who left UBS AG’s private equity fund in 2004 to start Affinity Equity Partners, and Michael Kim, who set up MBK in 2005 with five other senior Asian executives from Carlyle. In 2010, TPG Capital lost Shan Weijian, who left to found PAG Asia Capital. The next year, Mary Ma departed to help start Boyu Capital. While the purported CIA documents leaked this week by WikiLeaks focus on the likes of Apple and Samsung, Chinese companies like Huawei do get some coverage. BEIJING—The latest WikiLeaks trove hands fresh ammunition to China’s cyberspace hawks, already pushing to reduce dependence on foreign products that could be vulnerable to espionage, observers say. “The level of alarm in China will certainly increase, and with it a renewed determination to clamp down still further on U.S. technology companies’ operations in China,” said Peter Fuhrman, chairman of Shenzhen-based advisory firm China First Capital, which follows China’s tech sector. The documents released this week—more than 8,000 pages in all—purport to show how the U.S. Central Intelligence Agency breaks into computers, smartphones, TVs and other electronics for surveillance. Many documents deal with leading non-Chinese brands like Apple Inc. and Samsung Electronics Co., though there is some coverage of Chinese products, including routers from Huawei Technologies Inc. and Baidu Inc.’s search engine. The Chinese-product references are relatively sparse—and, in some cases, obscure. An undated list of CIA internal hacking demonstrations, for example, includes the “Panda Poke-Huawei credless exploit”—which one cybersecurity specialist says may be a method for taking advantage of vulnerabilities without logins or other “credentials.” There is also the “Huawei VOIP Collection,” a reference to “voice over internet Protocol,” making phone calls over the internet. The document doesn’t say whether these methods were used for intelligence gathering. Huawei declined to comment. A file titled “Small Routers Research-work in progress” lists router models from Huawei and ZTE Corp. It also mentions China’s three state-owned telecom companies and Baidu’s search engine, without further details. The telecom companies and Baidu declined to comment. The leak also offered what seem to be workaday notes among colleagues, including one CIA worker’s complaint about one piece of software’s default-language setting. “I don’t speak Chinese,” he griped. WikiLeaks’ website is blocked in China, but Chinese state-run media reported the document leak, focusing on U.S. companies. Overall response has been muted, possibly because the official spotlight this week is on Beijing’s annual legislative gathering. Cybersecurity experts say China maintains its own robust cyberhacking apparatus, though Beijing characterizes itself as purely a hacking victim, not a perpetrator. In recent years, China has seized on leaks about U.S. surveillance to fan public support for its domestic tech products. U.S. tech brands felt a chill after former U.S. National Security Agency contractor Edward Snowden revealed NSA surveillance methods in 2013. “It is like snow on more snow,” one China executive of a U.S. technology company said of the potential sales impact of the latest leaks. These leaks could help countries counter CIA tapping and develop their own capabilities, said Nigel Inkster, former deputy chief of U.K. spy agency MI6. Private equity firms and hedge funds are investing heavily into China’s healthcare industry in a bet on the sector’s upbeat growth potential, fund managers told a Hong Kong forum. Private hospitals and drug makers are among the bright spots for investors focusing on China, where rising income and an ageing population are boosting the demand for quality medical services. Private hospitals are set to attract large amounts of capital in the coming decade amid an underdeveloped private medical industry and a shortage of doctors, said investment professionals. “Healthcare has been the single area that probably everyone can foresee globally an enormous amount of capital and investment,” Peter Fuhrman, chairman of China First Capital told the Asia Private Equity Forum in Hong Kong on Wednesday. China’s population of individuals aged 60 or older is set to rise 90 per cent to 240 million by 2020, according to the World Health Organisation. Meanwhile, one consequence of the nation’s one-child policy, introduced in 1979 and officially phased out in 2015, is that the burden of caring for ageing parents will put tremendous pressures on the young generations. The healthcare sector in China will become a US$1 trillion a year business by 2020, according to a report by consulting firm McKinsey & Company. Among healthcare institutions, private hospitals are set to become the best investment for this sector, said Li Bin, chief executive of Ally Bridge LB Healthcare Fund, a hedge fund that focuses on investing in China and Asia healthcare companies. However, he said there are problems that will likely hinder the industry’s growth. Among barriers, Li cited a shortage of quality doctors, the lack of an ecosystem to support the development of private hospitals, as well as the long time frame needed to build up a trusted reputation. Although about half of the hospitals in the country are private, more than 80 per cent of medical professionals work in the public sector, which offer higher salaries and better career prospects, according to a recent report by Citi. “Five years ago I said it would take 10 years for private hospitals to mature in China, now I think it would take another 10 years,” he said. Alice Au Miu Hing from SpencerStuart, an executive search consultancy, said it remains extremely difficult to find experienced private hospital executives with China experience who can speak Putonghua. “The common approach now is to bring someone from the industry from outside and see if the person can survive in the mainland market,” said Au. Meanwhile, pharmaceutical and biotech start-ups will flourish with China’s emerging middle class seeking better healthcare services. Judith Li, partner at the life science-focused Lilly Asia Ventures, told the forum that China spends about 6 per cent of its GDP on healthcare, versus an Organization for Economic Cooperation and Development average of 10 per cent. “China has so many white spaces where there is nothing exists, and it’s very compelling,” she said.